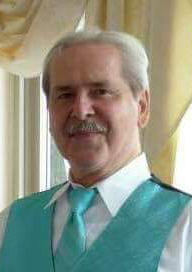 Richard W. Archambault, 64, of Woonsocket, passed away on September 5, 2018, surrounded by his loving family, at Rhode Island Hospital in Providence. He was the husband of Eleanor E. (Snoek) Archambault. Born in Woonsocket, RI, he was the son of the late Edgar and Theresa (Fontaine) Archambault. He owned Rick’s Auto Body for over 40 years and was known for being a perfectionist. Rick spent many hours in his garden, then pickling and canning, so friends and family could enjoy it all year. He also loved fishing, painting and making whirligigs. He enjoyed spending time with his family and friends, whether it was in his garage or by the campfire. Rick was looked at as the neighborhood godfather to all the kids that spent countless hours playing in the yard. Besides his wife, Eleanor, he is survived by his twin daughters, Lisa and Stacey Archambault of Woonsocket; his sister, Sue Gelinas of Palm Coast, FL; and grandchildren, Alexis and Autumn Marcil and Terrell Lema. Friends and family are invited to celebrate his life on Saturday, September 15, 2018, at 2PM in his beloved garage at 234 Avenue C, Woonsocket, RI. Funeral arrangements are under the direction of the Holt Funeral Home, 510 South Main St., Woonsocket.